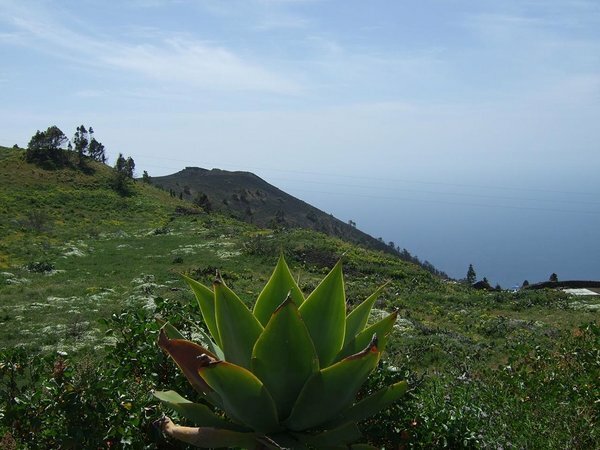 La Palma is a hiking paradise! No matter if you are a lover of nature or a member in a hiking group, if you are passionate for Nordic Walking, if you are an experienced mountaineer or love rock climbing: La Palma has hiking paths for all physical conditions and every single route is an impressive experience. Here you will discover a landscape of unique beauty, whether it is in the National Park Caldera de Taburiente or in the unspoiled nature of the rain and cloud forests in Los Tilos, in the North, which were declared Biosphere Reserve by the UNESCO. La Palma has beautiful beaches with dark, soft lava sands. Not as many or as long as on the bigger neighbouring islands, but enough to find a quiet spot on a stretch of beach. The quality of the sea water is excellent on the island's coast. Some of the beaches have been awarded the Blue Flag from the European Union. La Palma has well built roads on which you can enjoy wonderful bike rides through the island. Mountain bikers will enjoy the open country, with its mountain and volcanic ash tracks, smaller side roads and lonely forest paths as well as the old roads (caminos reales) and some donkey paths and spectacular rocky trails which offer more technical difficulties. 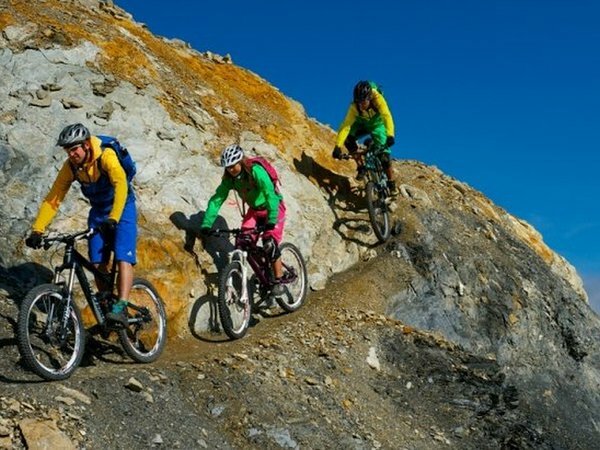 There are a few mountain bike tour providers with many years of experience in guiding small groups through this Mecca for mountain bikers. This means: having fun biking and enjoy the nature in good company. The routes do not start at sea level, but from higher places, which are reached with the Bike-Shuttle. Diving in the clear subtropical waters of La Palma means exploring one of the best diving spots of the Canary Islands. Diving has become an important part of the outdoor and leisure activities offered in La Palma. Due to the volcanic origin of the island, the underwater landscapes show caverns, slopes, stone archways and bizarre lava formations and the visibility underwater ranges up to 50 m. Under those conditions, admiring the local underwater fauna is easy: colourful fish shoals, moray eels and stingrays. Each year, there is an international competition in underwater photography and film. Water temperatures of min. 18 degrees celsius in winter and min 23 degrees celsius in summer guarantee a fun dive all year long. 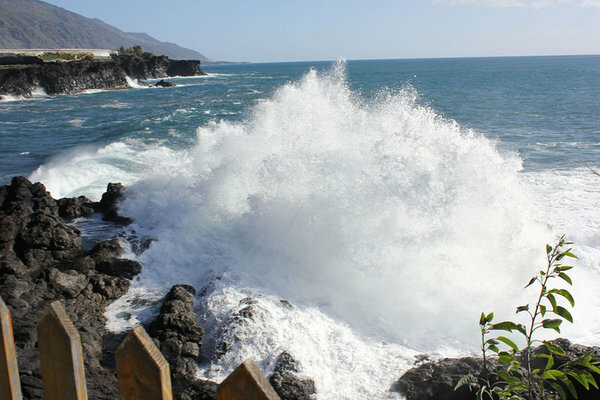 La Palma has a lot to offer! Everywhere on the island there is something related to culture or nature worth seeing. 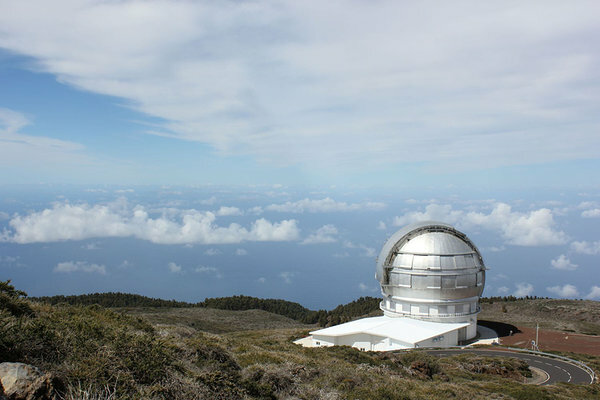 During your holiday in La Palma, aside from visiting the museums and the observatory, you should also see other typical places all around La Palma. While the island is a relatively small area that could be visited in only one day in a car round trip, we recommend to plan a few shorter day excursions to the following places. You will need a rental car for them. For example the Plaza La Glorieta in Las Manchas. This extremely beautiful small plaza with its lavish mosaic works that represent the flora and fauna of La Palma. Luis Morera, one of La Palma's most famous artists and a friend of Cesar Manrique, has created a little gem here. His love for detail shows in this work of art that took many years to complete. Or a trip to the most important church on the island, the Sanctuary of “Nuestra Señora de Las Nieves”. It houses the image of the Our Lady of the Snows, the patron saint of La Palma. Every five years, the decorated image of the Virgin is brought to the capital city in a solemn procession. After a week of festivities, processions, concerts, plays, music and dance following historic traditions, the terracotta statue is brought back to her sanctuary. 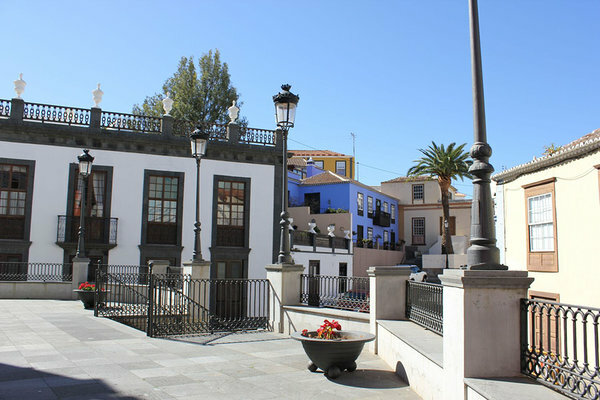 Santa Cruz is one of the most unspoiled and beautiful cities in the Canary Islands. It is well worth taking your time to visit it! In La Palma there are archeological sites from the old inhabitants of the island, the Benahoaritas, sea salt works in Fuencaliente, the Wine Museum in Las Manchas, the Banana Museum in Tazacorte and the Silk Museum in El Paso are a few examples of where to find out more about the culture and history of the island. The Theatre “Circo de Marte” and various festivities around the island are well worth a visit. You can find many shops offering typical products from La Palma in the island's towns, but you could also visit one of the many artisan workshops: pottery, wickerwork, silk fabrics, cigars, wine and liqueur are produced there. 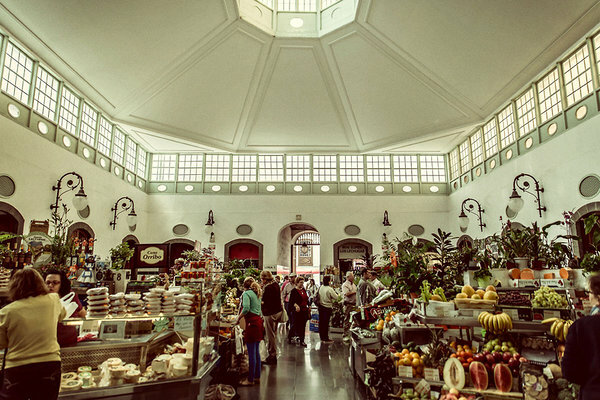 Visiting one of the markets, held mostly at the weekends in many towns around the island is also a beautiful experience.